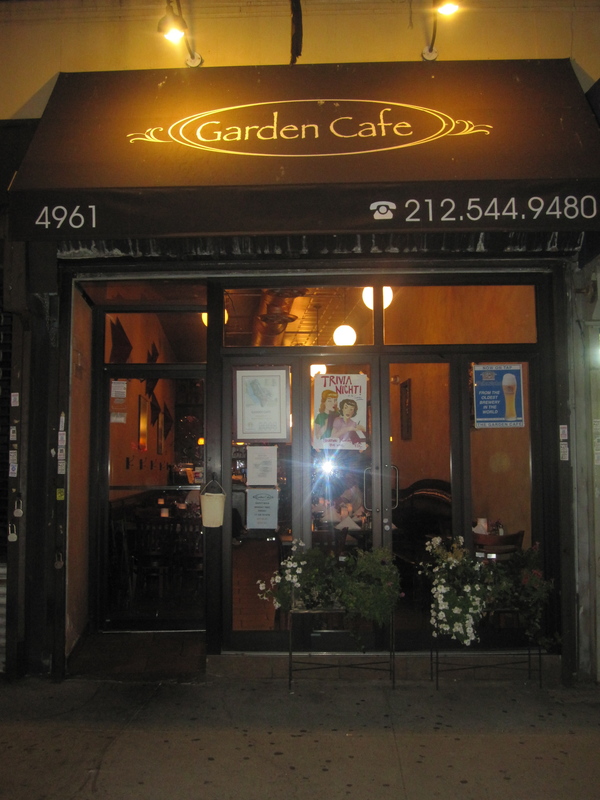 Although there have been several dining areas sprouting out within the last couple of years, it’s safe to name the Garden Café one of the “dining pioneers” Uptown. 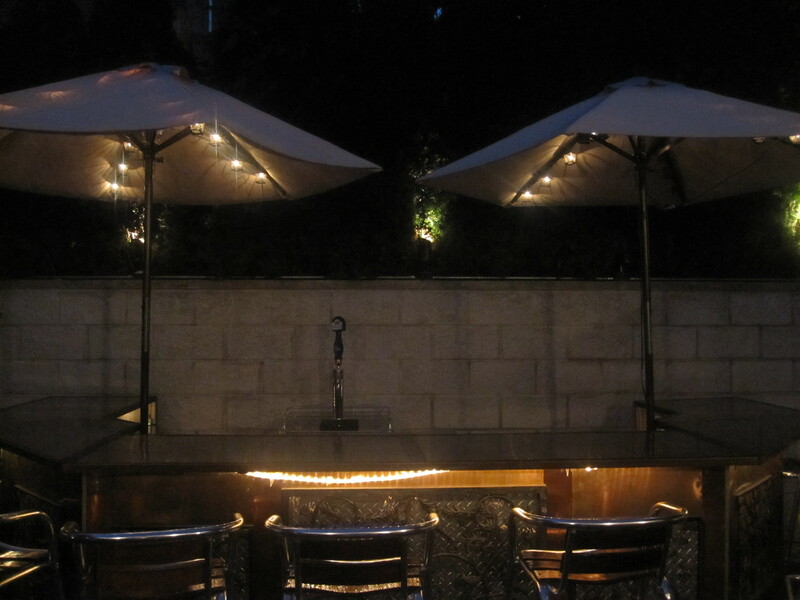 It was one of the first to open it’s doors with an elegant setting, large selection of wine and great menu. It has also been one of the few to still hold strong after years of renovation and changes in the area. So what makes this restaurant a true “Eat Up, Drink Up” claimer? Whether it’s starting out with a delicious plate of chicken cordon blue, dabbing it with a hummus plate and glass of wine, or simply enjoying the outdoor dining area, it seems that the Garden Café has everything for that one-evening escape. And you start to panic, since clearly walking to the back of a restaurant in this part of town couldn’t lead to anything, but those reproductions on Law & Order. However, once you decide to follow the friendly waiter through the long hallway and into the back, you notice the beautiful, Christmas-lighted bar awaiting your arrival. If it’s a Thursday or Friday night, then you’re just that luckier cause of the live jazz bands that usually perform then. Before you know it, you order a drink and dinner, and soon forget the problems you had with the train that morning, how the printer didn’t work in the office, and that you’re still in Uptown after all.